The Riese & Muller Cruiser Vario HS Faster cruising in comfort: the HS model features the high-power Bosch Performance Speed motor with assistance up to 45 km/h (28 mph) and total relaxation with continuous Enviolo hub gear. Superior braking behaviour, even at high speeds, is standard for the Magura hydraulic brakes. 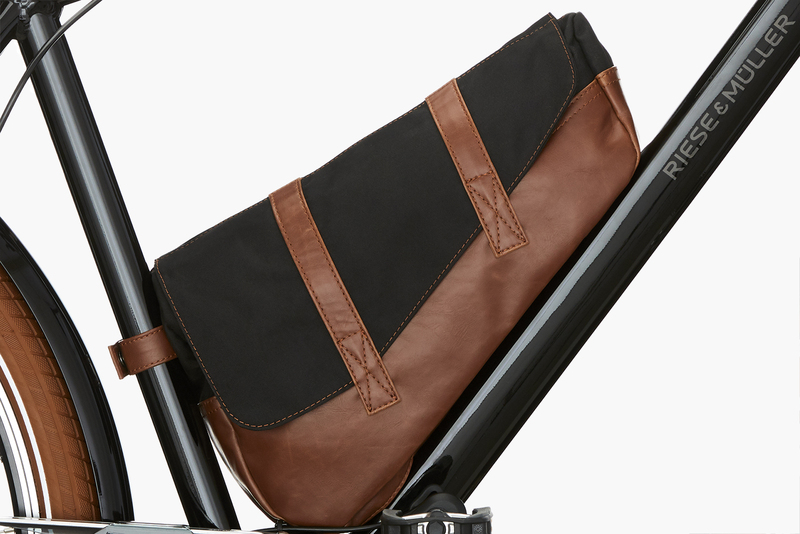 The Cruiser gets its particular elegance from the retro-style colour combination with black frame, shiny chrome chain guard and handles and the brown tires and saddle. 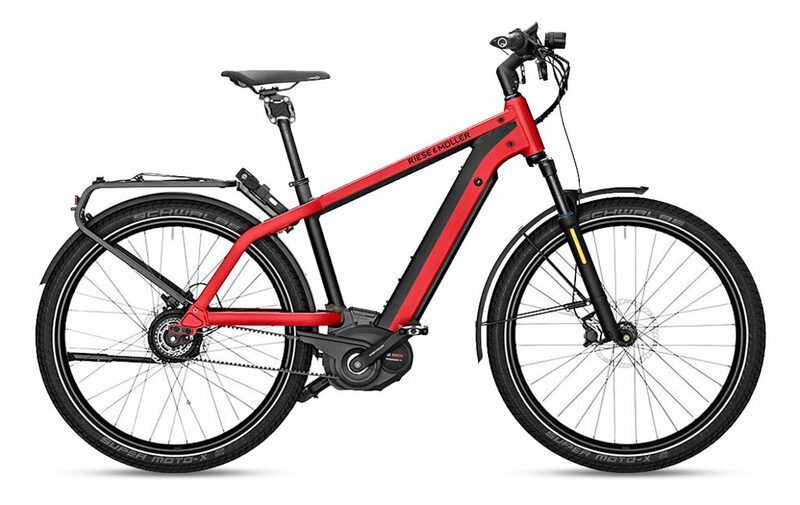 Motor: The Riese & Muller Cruiser Vario HS comes with Bosch Performance Speed with assistance up to a speed of 28 mp/h makes the Performance Speed drive the fastest Bosch E-Bike motor. Sporty start-up characteristics, 350 watts of power and pedal assistance up to 275 % guarantee the ultimate riding pleasure with a maximum drive torque of up to 63 Nm with derailleur gear and up to 50 Nm with hub gear. 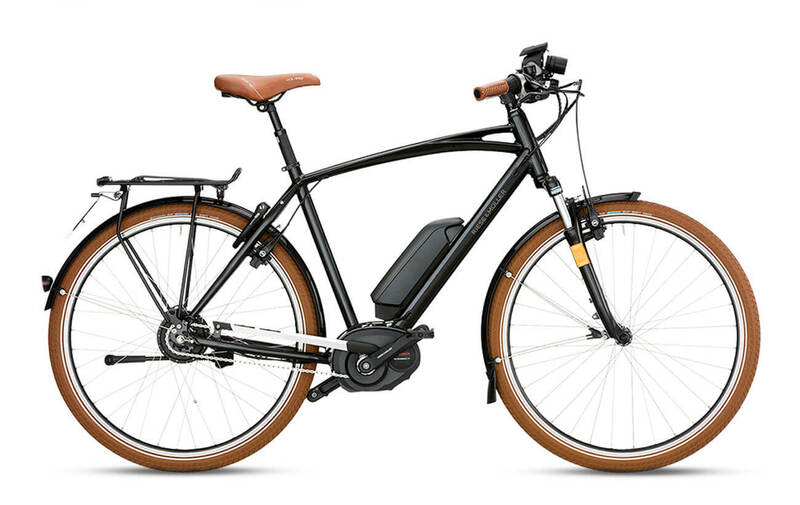 Brakes: The Riese & Muller Cruiser Vario HS is equipped with Magura HS33, rim brake. Greater braking power, reduced weight and perfect ergonomics combined with a radial design make the it an ideal partner for both road and off-road. Accessories: This bike comes with the Busch & Müller Lumotec Lumotec IQ-X E head light and Supernova M99, integrated brake light for safety, it also comes with a SKS mudguard, a Hebie FIX40 kickstand and a Spanninga horn. Our team has a lot of experience outfitting bikes with additional accessories, so be sure to reach out to us if there’s anything you may need.